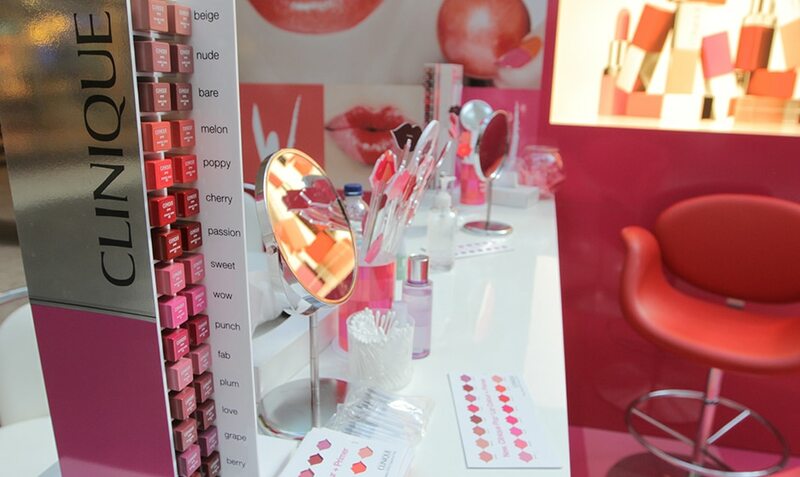 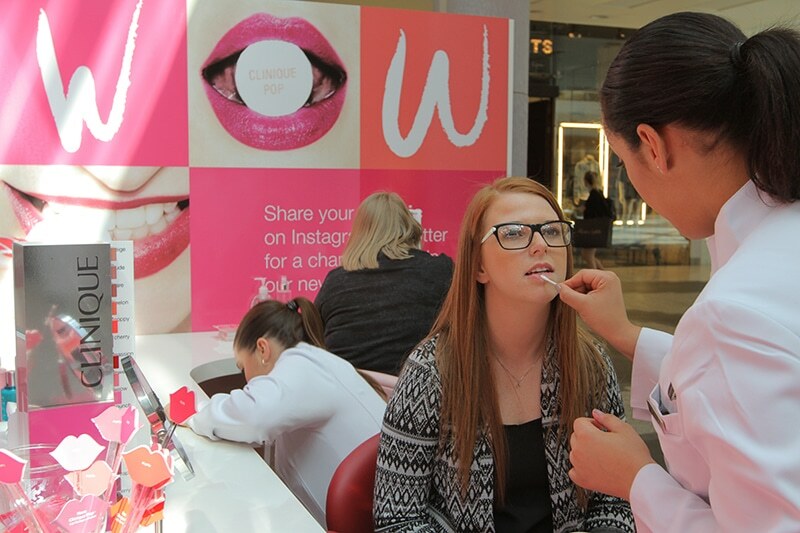 Create an Experiential Marketing campaign to increase awareness and drive trial of the new PopLip all-in-one lipstick and primer. Create a fun and engaging brand experience which created an opportunity for consumers to enter a photo contest to find the “lips” of the campaign. 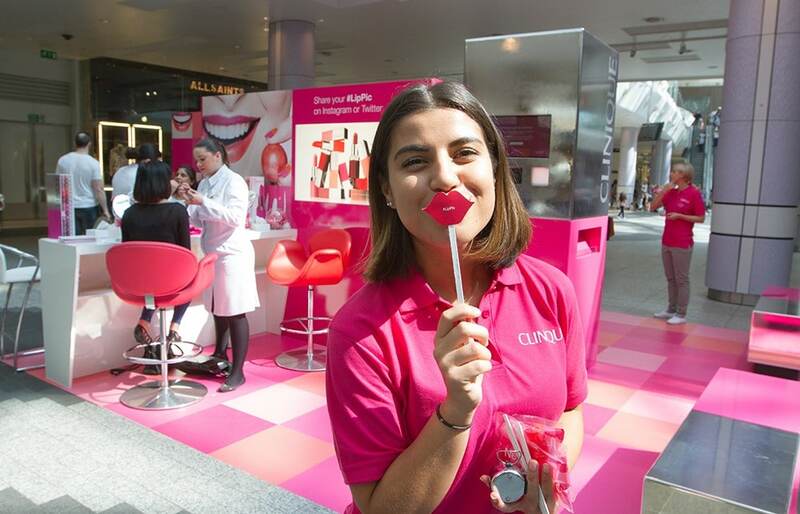 Working alongside Talon, M2M and Stack we created and executed this eye catching campaign to support the UK launch of the new Clinique Pop™ Lip all-in-one Lipstick and Primer. 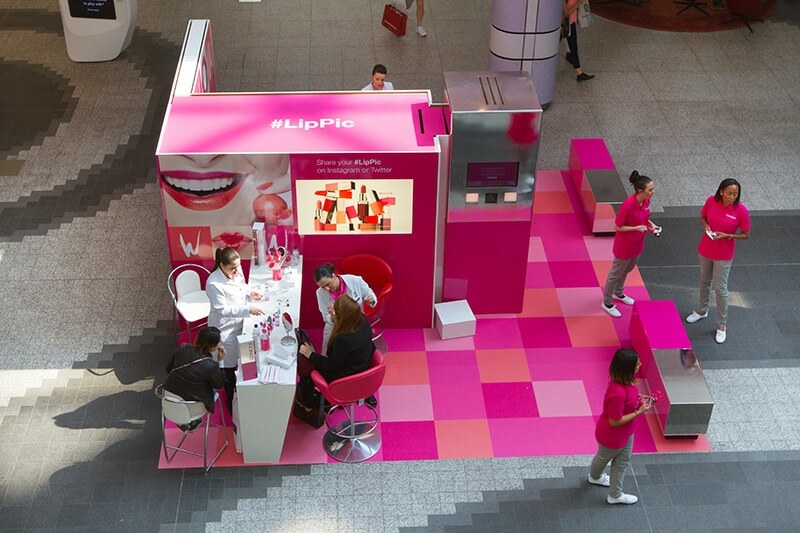 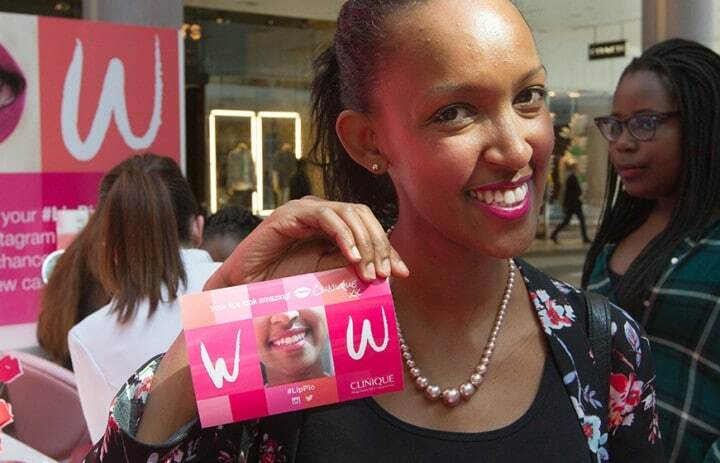 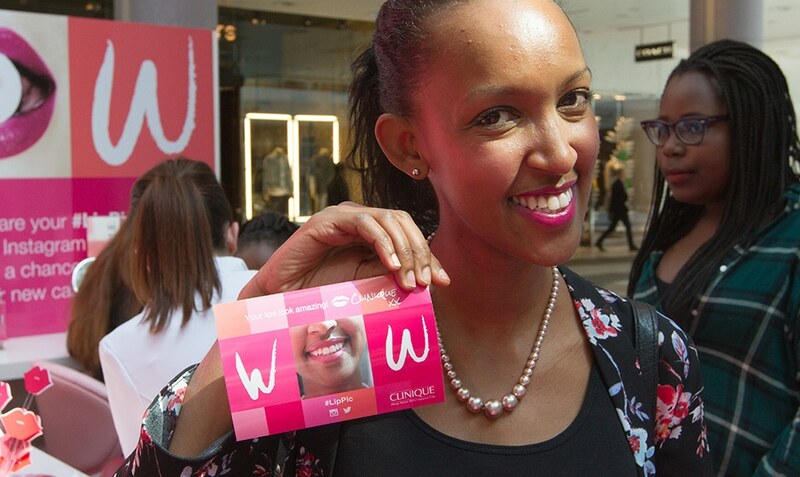 The Pop™ Lip stand toured London Westfield, Manchester Trafford Centre, Bluewater and Birmingham Bull Ring over two weeks supported by proximity digital 6-sheets. 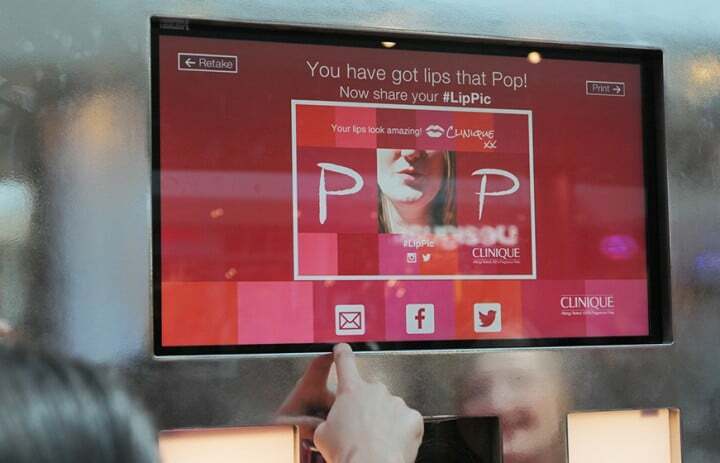 The activity incorporated product trial, sampling, social media sharing via a custom built photobooth and a competition to find the lips of the Pop™ Lip campaign. 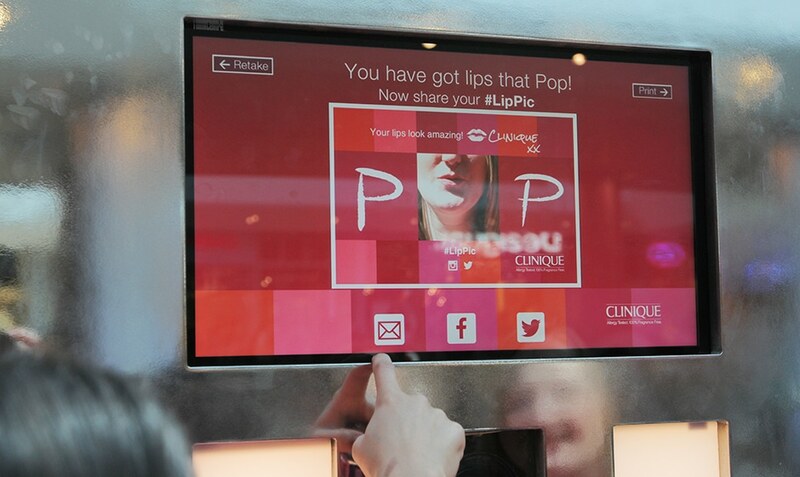 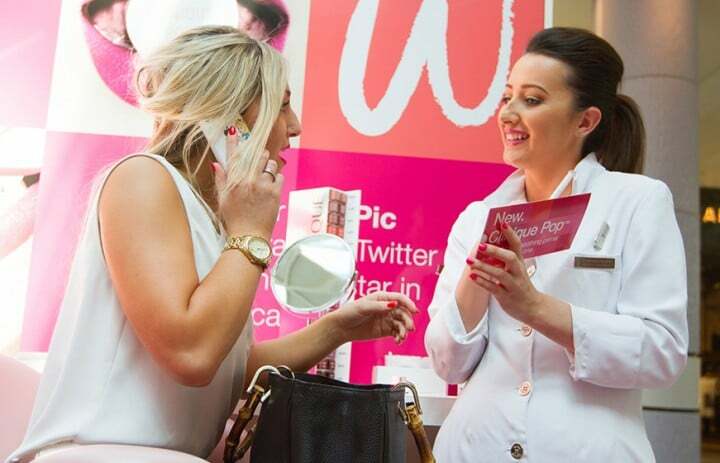 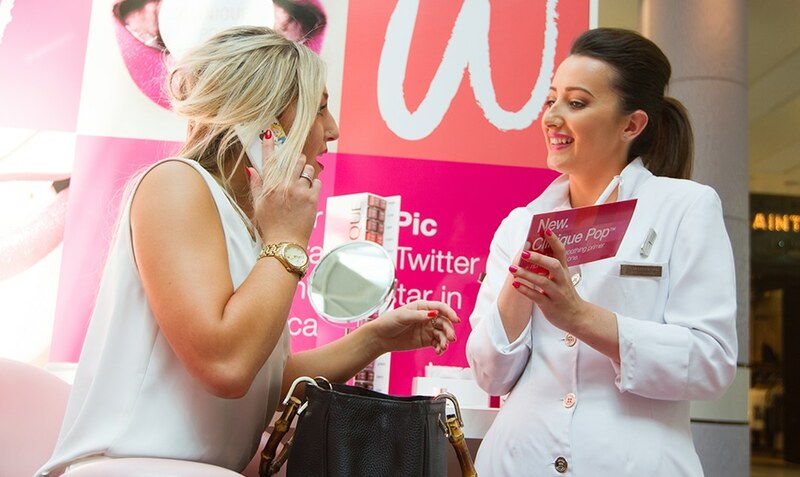 Over 8 live days, we provided beauty consultations and applied Pop Lip to 2,281 people, handed out 10,500 samples/giveaways and took 1,780 #LipPics which were shared via the custom #LipPic photo booths.